Today Google (I'm quite a big fan) announced a new Google operating system. Essentially it will be a back to basics OS designed to work on Netbooks. The dream is to have it running on desk top PC's once the ground work has been done on the more portable platform. It will be open source, so Google will be opening it up to the on-line community to help them create the best system. 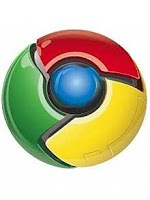 Google took the web browser back to basics and that is exactly what they plan to do with the OS. Imagine turning on your computer and being able to browse the web with no prolonged start up. Imagine never having to download an update or worry about a virus. Well that's the dream. The Google Chrome browser has changed the way I surf, god knows how much of an impact an operating system could have. You can read more here at the Official Google Blog. Roll on 2010. I for one can't wait.